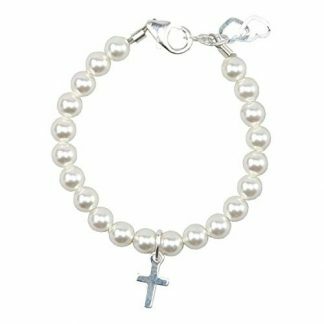 Give your goddaughter the sweetest and most precious Baptismal gift! This Precious Moments Snow Globe is perfect as a Christening gift or baby shower gift – especially for a sweet little baby girl. This little snow globe beauty is such a sight to behold, and your goddaughter will be fascinated by it when she gets older. Looking for a sweet and memorable gift that is as sweet and precious as your goddaughter (or grand daughter)? This Precious Moments Snow Globe is the perfect item. Within this snow globe, a young girl snuggles her sweet bunny, safe and secure in the knowledge that she is loved on earth and in heaven. This is how you can show your love and care during baby girl’s baptism, christening or dedication day! It is also a great gift for baby girl’s 1st birthday. 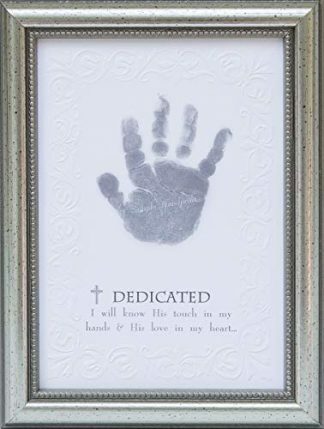 It is a gift that can last a lifetime, and it makes for a sweet little keepsake for baby’s dedication or baptism day. She may not remember everything that happened during that time, but when she gets older, she will have this snow globe (among other keepsakes) to remember it by. She will know that she is loved, cared for, and greatly cherished in the family. Snow globes have a way of enchanting girls of all ages and this one is no exception; a sweet scene to behold for little ones and adults. 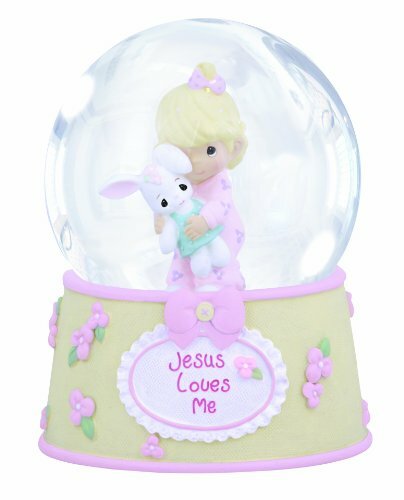 Give this snow globe as a baby gift to welcome a newborn home, for baptisms, christenings, dedications, her first birthday or ‘just because’ she is loved! 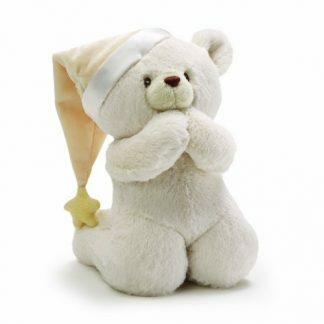 Parents, godparents, aunts, uncles, cousins, big sisters, and grandparents who are looking for a nice gift for baby girls have certainly come to the right page. Your sweet little girl might not yet appreciate this cute little snow globe, but when she does get older, she will be fascinated by the colors and elements inside it. It will be a great decor in her nursery room, and a great toy that can help stimulate her creativity, imagination, and cognitive skills.